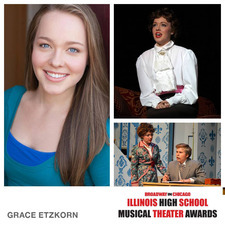 Vero Voce students Grace Etzkorn of Lisle (Benet Academy) and Katelyn Jassoy of St. Charles (Rosary HS) have been named as finalists in Broadway in Chicago’s Illinois High School Musical Theater Awards. The 24 finalists participated in the Awards program on June 1. Vero Voce student Sarah Heylmun (Batavia HS) has advanced to the National Semi-Final round of the Category II High School Musical Theater Women competition of the National Association of Teachers of Singing to be held at Greensboro, NC on July 7. Sarah is one of only 2 students representing the Central Region of NATS (Illinois, Iowa and Missouri). Other notable students include Lauren Freas, St Charles East HS sophomore and 3rd place winner of the Central Region of NATS, and Colin Callahan and Maisey Sweeney of Batavia were selected by audition to participate in the National Middle School Honors Choir Performance at Carnegie Hall in New York City, June 24-28. 630-584-0139, verovoce.com.